What can you expect from your IPL Laser Treatment? And what are you interested in? We like to stay in touch with all of our customers to let them know about our latest services, new clients, share useful articles, and other relevant business information. All of our customers have the option to opt out of receiving these messages, so please click here if you would like to find out more and decide if you want to opt out. An hour later, I’m done. I’m delighted to discover both my arms are half an inch slimmer and after a second session; they shrink by a further half an inch each. Two weeks on and I still look like a tricep dip queen. I’m thrilled! I’m a converted cynic. This is amazing and I haven’t put the inches back, despite doing no exercise. 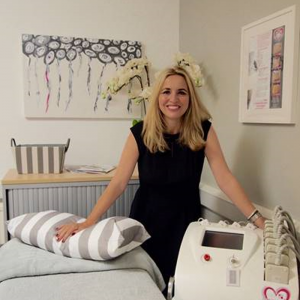 A small family run clinic based in Chester offering the best inch loss system in Europe! We also offer IPL hair removal and rejuvenating facials. We welcome you to pop in and see us you can be assured of a warm welcome and lets see how we can work together to get the inch loss you want!! Do you have questions regarding Laser Lipo? We may of covered many of them on our website, but if not please don't hesitate to call. Fat Loss and Inch Reduction with Laser Liposculpture. IPL Laser Hair Removal, Skincare Treatments and Dermapen Rejuvenation. All available at The Cheshire Aesthetic Clinic, Chester. Call us now for your consultation.